Jonathon grew up in Pottsville, Pennsylvania. After graduating with his Bachelor’s degree in Health Science and Master’s degree in Physical Therapy from Misericordia University, Jonathon moved to Monmouth County, New Jersey. While working full time as a physical therapist Jonathon completed his Doctorate of Physical Therapy from Misericordia University in 2014. Jonathon's doctoral paper focused on developing a rehabilitation plan on the prevention of non-contact ACL tears in female athletes. Jonathon’s continuing education courses have focused on sports medicine rehabilitation making him skilled in screening athletes for injury prevention. Jonathon also completed his certification for Functional Movement Screening (FMS) which helps recognize deficits in normal movement patterns and helps to develop a rehab program most suited for that individual’s needs. In his free time Jonathon enjoys playing drums, watching Eagles and Notre Dame football, producing music, and going to the beach. 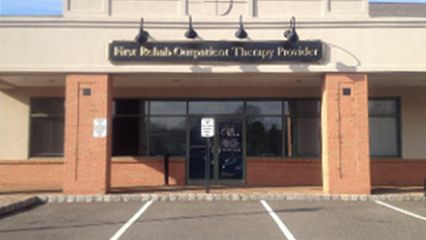 Kelly comes to First Rehab with over 10 years experience in Hand Therapy. She received her Master’s of Science Degree in Occupational Therapy from Mercy College, and received her Hand Therapy Certification in 2003. Kelly has been with First Rehab since 2007.She has gained extensive experience working at therapy centers in University Hospital in Newark and Hackensack University Medical Center. Kelly has experience in upper extremity trauma, fractures, tendon and nerve repairs, tendon transfers, and replantations. She is highly skilled in the fabrication of all types of custom splints.